Go home with a healthy heart and a nice Goodie Bag! IMPORTANT NOTE 1: MORNING MASS will be at 7am. IMPORTANT NOTE 2: NO PARKING IN CHURCH COMPOUND. Parking is permitted along Jalan Kelulut & Yio Chu Kang Road as per weekend mass arrangement. 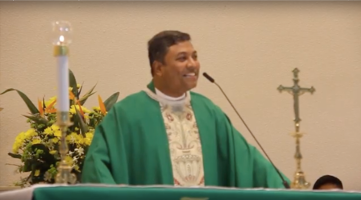 This year's Feast Day ovena may have ended, but you can click here to watch the sermons delivered by Fr. Joseph Royan from 12 - 20 September 2018. 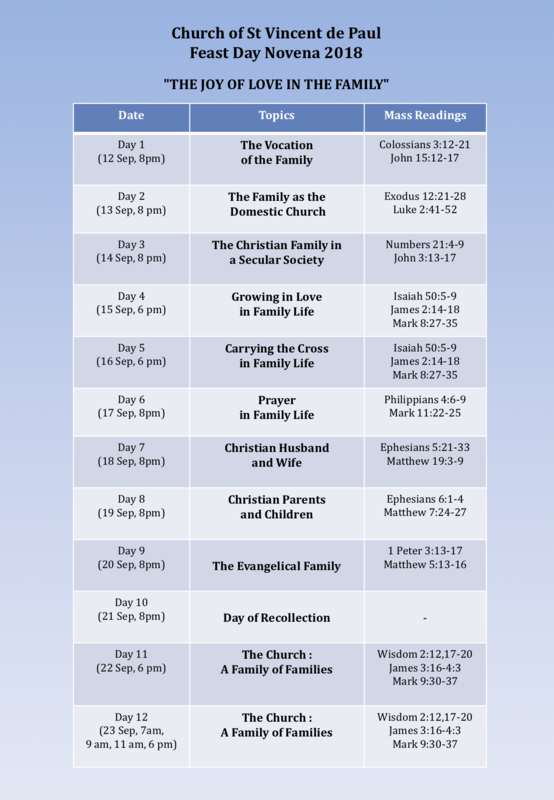 And we invite you to spend time with the reflection questions for each day of the novena. Click here to download the Feast Day Novena 2018 details. You can also download the invitation and the poster. Download the mass readings here.